Home / Blog / Shiprocket / How ShipRocket Charges For Air And Surface Shipping? 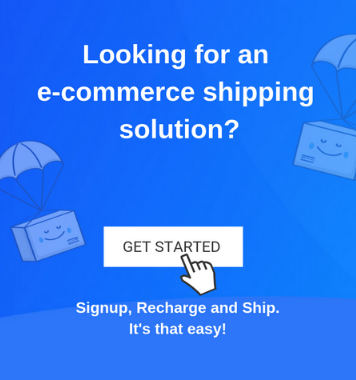 How ShipRocket Charges For Air And Surface Shipping? In today’s fast paced world of technology, hundreds of eCommerce businesses have been popping every day. However, their success or failure is subject to many variables. One of them is shipping. And, by shipping, it is not just shipping but other factors like delivery time, shipping charges, etc. Shiprocket takes care of all these factors so as to end all kinds of shipping hassles for you. We offer you multiple shipping options so that your products are delivered to your customers on time and in minimum freight charges. Air Shipping or Air Freight is a logistic service to send shipments through air transport. Air Shipping is comparatively quicker than surface shipping and usually cost more to ship. For many destinations or international shipping, it might be the only option to ship & deliver products. Surface Shipping is a logistics service in which the shipments are sent through sea or land. It is less expensive, but slower than air shipping. Surface shipping is specially preferred for large or heavy shipments. 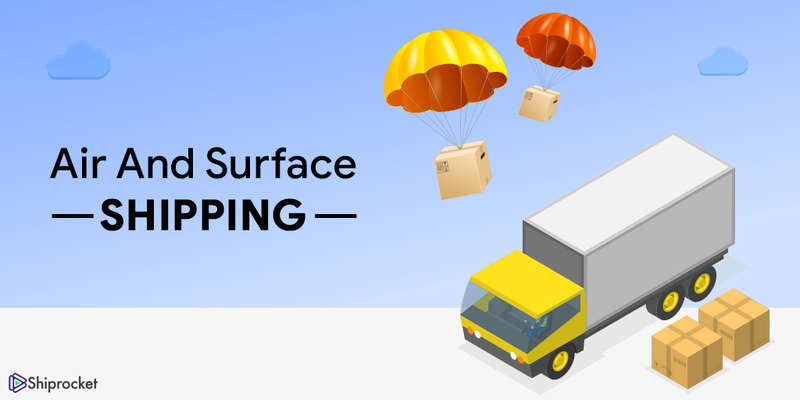 We offer Surface Shipping through Fedex Surface. ShipRocket offers you both air and surface shipping. However, after the introduction of prepaid shipping, the charges and shipment weight deduction has changed. Let’s understand how exactly it works. Before getting started, please make a note that Surface Shipping Weight = 5 x Air Shipping Weight. This means, if you recharge your Shiprocket account for Rs. 3000, then you will get 25 kg of Air Shipping or 125 kg (25×5) of surface shipping and so on. For example, if you utilize 1 kg for air shipping, then the remaining air limit will decrease to 25-1 = 24 Kg. The weight deduction will also be reflected on Surface Shipping limit and it will decrease to (125 – (1×5) = 120 Kg. If you use Surface Shipping for product delivery and ship product of 10 Kg weight, then the left surface limit will be 125-10 = 115 Kg. For air limit, the deduction will be done using this formula. Please note that the minimum amount of shipment for surface shipping is 10 kgs. This means even if you ship 8 kg shipment using surface shipping, then also 10 kg will be deducted from your account. However, the deduction for air limit will be for 8 kg. For example, if you ship 8 kg from surface shipping then the remaining air limit will be 25-(8/5) kg = 23.4 kg. For surface shipping limit, the deduction will be (125-10) kg – 115 kg. What is the minimum weight in case of air shipping. For example if we utilize 1.2 kg weight, then what will be the calculations ? For Air Shipping, the minimum weight is 0.5 kg, except for FedEx Standard Overnight whose minimum weight is 1kg. So, if you utilize 1.2 kg weight, then the calculation will be according to 1.5 kg. What is the minimum weight for surface shipping? With same example asked by Hitesh? Whom do you have tie-ups with in Jodhpur for logistics? You can go choose surface shipping if the weight is more than 5Kg.